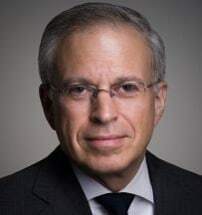 JACK A. RAISNER is a partner at Outten & Golden LLP in New York and Co-chair of its Worker Adjustment and Retraining Notification (WARN) Act Practice Group. Mr. Raisner has litigated to victory in the U.S. Supreme Court the claims on behalf of a 2,000-member class of employees in Czyzewski v. Jevic Holding Corporation. The Court’s decision stopped employers from using a practice in bankruptcy to avoid paying their employees’ earned wages, and strengthened the rights of all priority creditors. The WARN Practice Group was named “Bankruptcy Practice Group of the Year” by Law360, in recognition of the landmark ruling. Practicing employment law since 1991, he prosecutes WARN Act and wage and hour class actions nationwide, has represented individuals in a wide range of discrimination and wrongful discharge claims, and has argued in the U.S. Court of Appeals in the Second, Third and Fifth Circuits. He authored the Pregnancy Discrimination and Parental Leave Handbook (2000), as well as many chapters, and articles on employment topics. He is a Professor of Law at the Tobin College of Business, St. John’s University. Mr. Raisner received his B.S. degree from Boston University in 1978 and his J.D. from Benjamin N. Cardozo School of Law in 1983.